Birds are everywhere you turn. Variety and abundance. 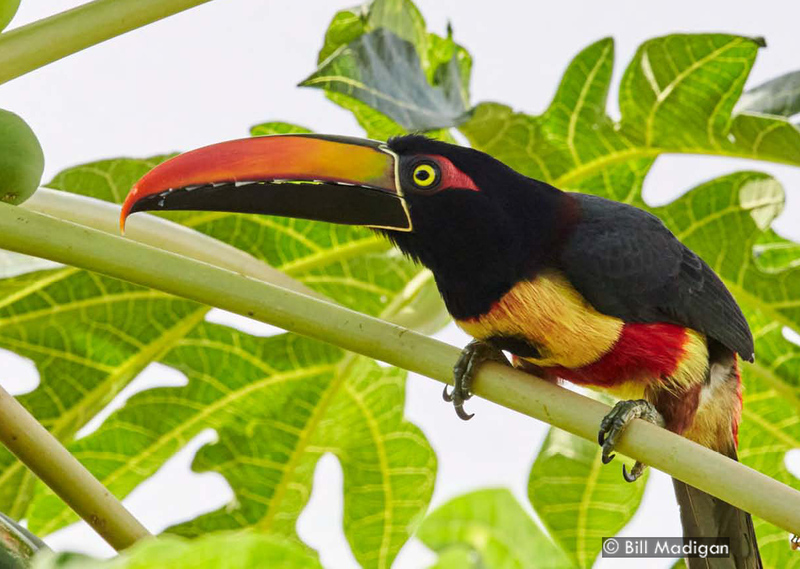 Brilliant Scarlet Macaws, cartoon-colored toucans, showy cotingas, dancing manakins…. 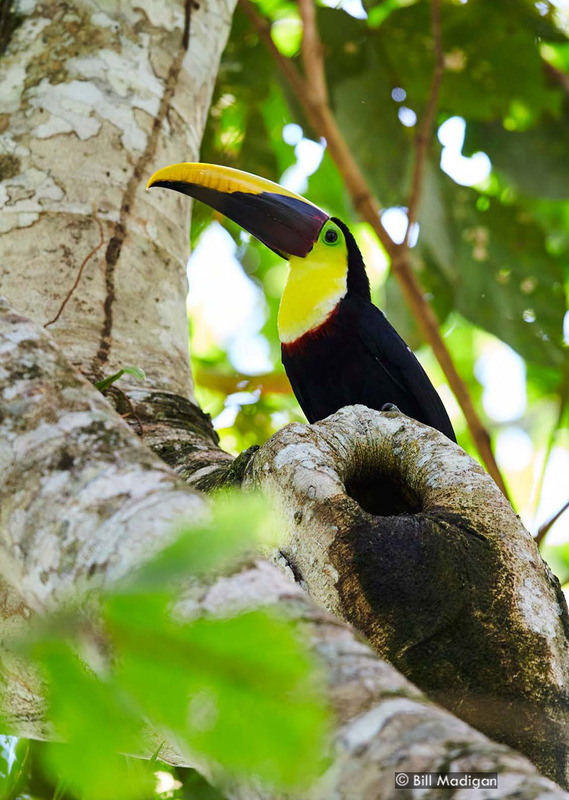 Costa Rica hosts over 800 species of birds and approximately half of them are found on the Osa. 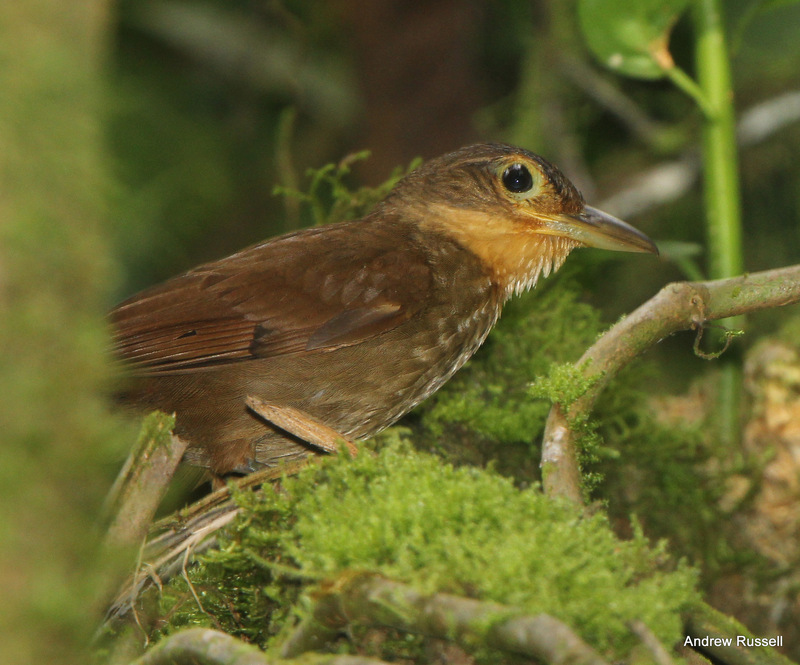 There is no better way than a little bird watching, to get a sense of the diversity of the Osa. On any hike or walk, birds will represent the larger number of species seen, although it does not necessarily take a lot of walking or hiking to enjoy the birds. Often you can stand in one place and see something new every minute or so. We have been birding on this property since 1995. 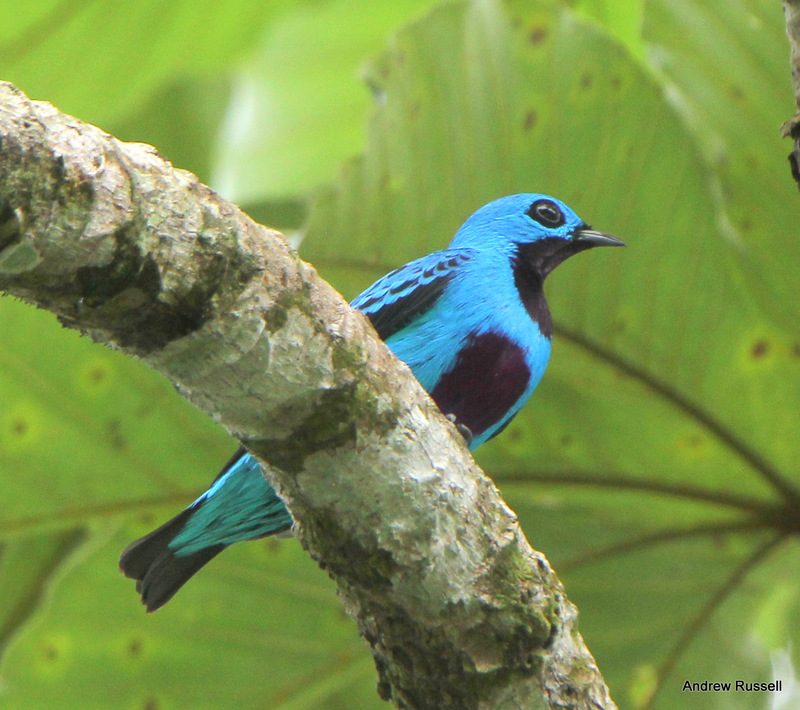 Birding for us involves not only listing species but studying their habits as well. There are always a variety of active nests surrounding the house. With all these nests visible, we have had the pleasure of viewing the birds social and feedings habits and watching the interactions of the competing species. 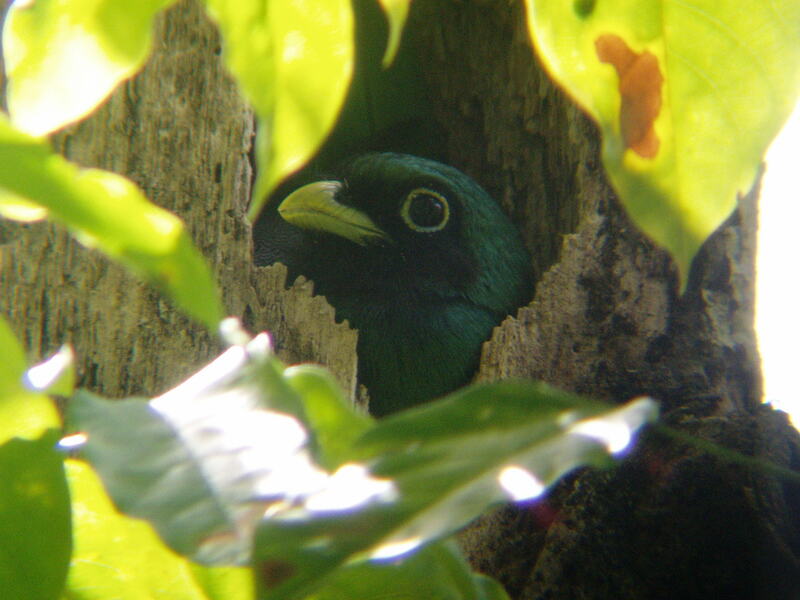 And since many of the shy forest birds come right up to the house, we can show our guests birds that are rarely seen. 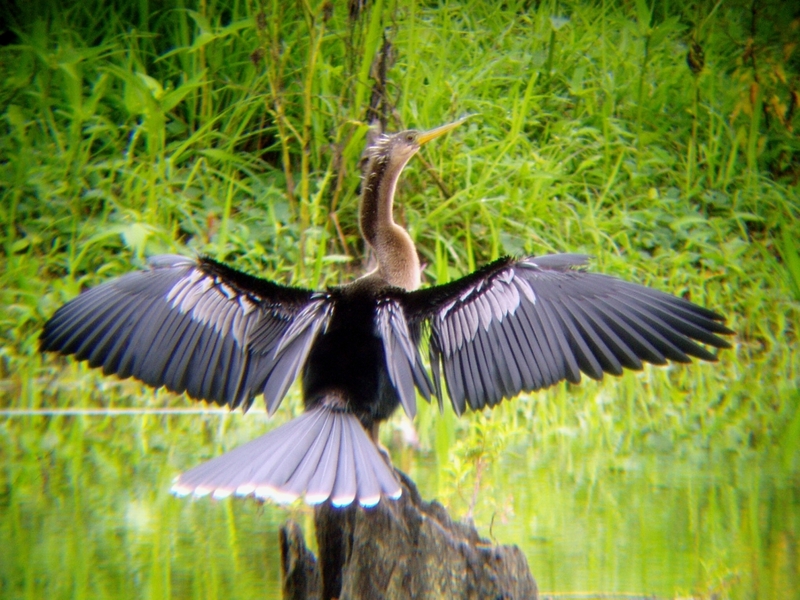 Our site list includes species we see on our tours or have been seen by us over the years. The experienced birder may want to look at the Birder’s Page. 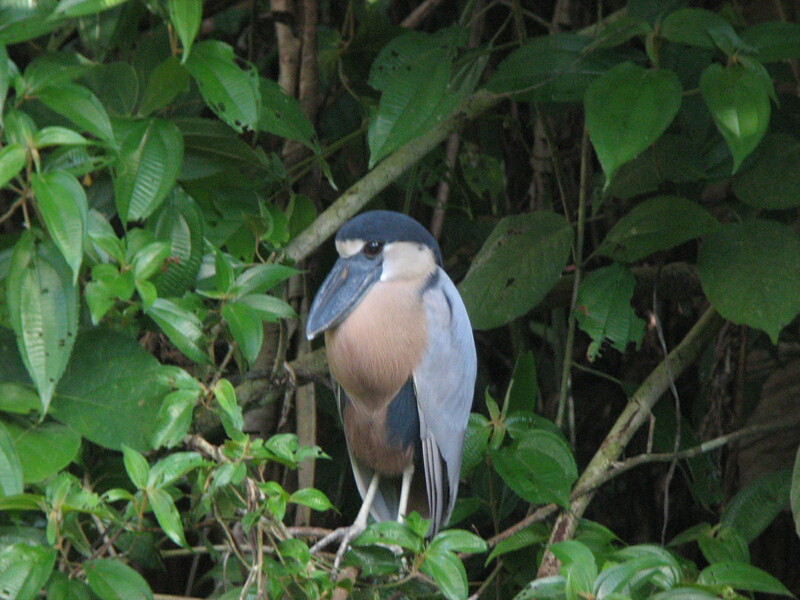 For the novice, or the experienced birder, a morning bird walk is a great way to start a day in the tropics. On a 3 hour morning bird walk we usually see 45-70 species and some groups have spotted over 100 species. We love it when we can show a new birder some marvelous specie, large or small, through a spotting scope. They can see every feather, subtle differences in the colors, even the bristles above and below the bill of a colorful flycatcher. It is fun to watch the behavior of these feathered residents as well. Hummingbirds abound and their nests are everywhere. Watch them build or feed their young. 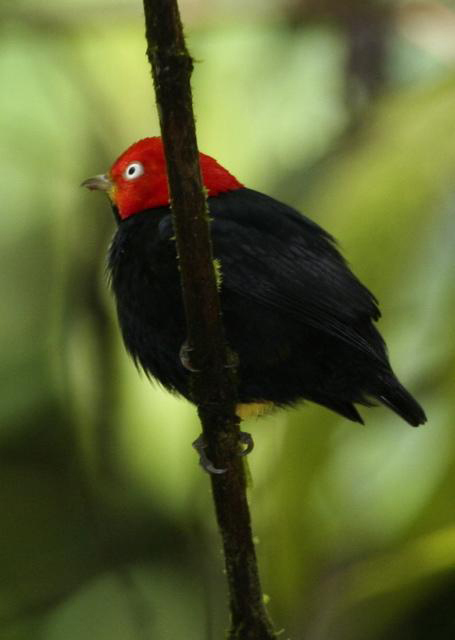 The brightly colored male manakins will amuse you with wild displays (dances) to attract females. Blue-crowned Motmots sit quietly in the shade and wag their long racketed tails slowly back and forth. 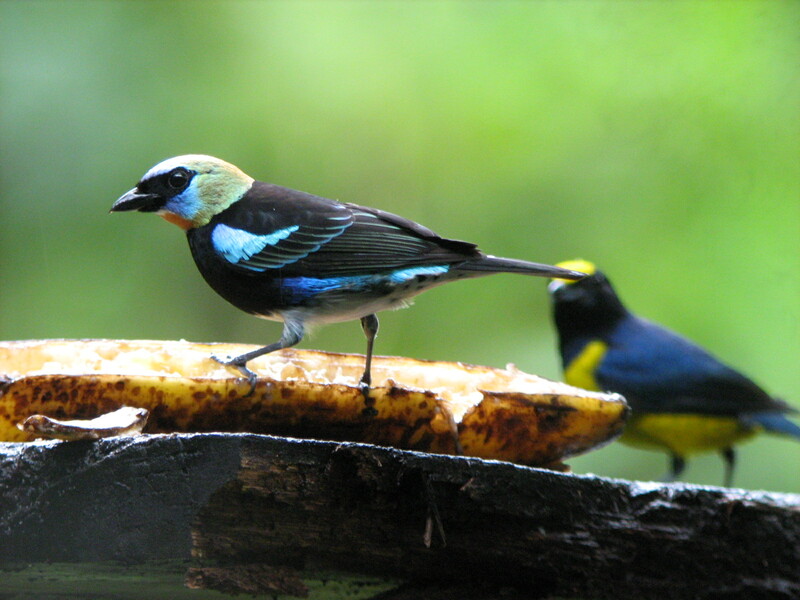 Large mixed flocks of brilliantly colored tanagers and honeycreepers will gather in a fruiting tree, picking it clean. Less easily seen, the understory species roam the forests, often together, hunting under bark, dead leaves, leaf litter and in bromeliad clumps for a tasty morsel. 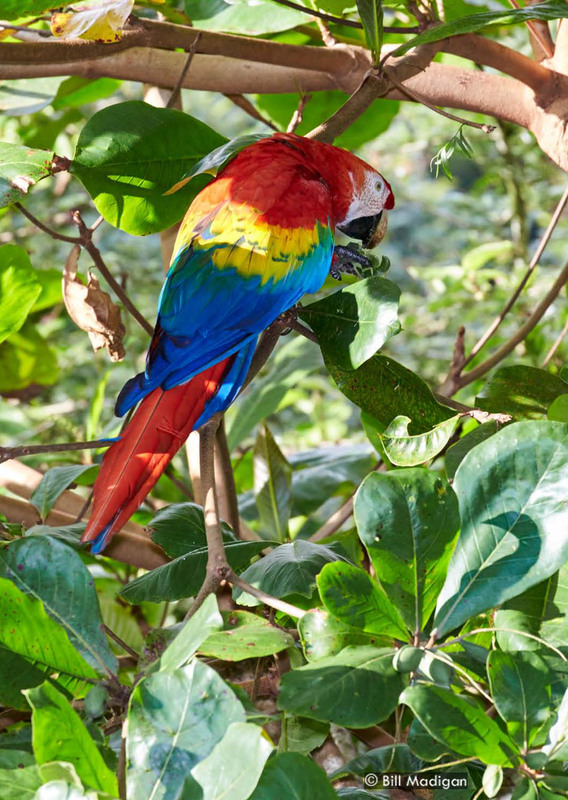 We offer a variety of bird walks customized to everyone’s interests and abilities. It is highly recommended that everyone take at least one morning bird walk. For the non-birder it will be an eye-opening experience. For the experienced birder, well worth your time. Birders staying elsewhere on the peninsula are welcome to come out for breakfast and a 3 hour guided bird walk for $60pp. Please contact us in advance. This offer is not always available.